The ceremony on Sunday, March 12 will start at 11 a.m. in the cafeteria of Bedford High School, located at 8285 Jackman Road, Temperance, MI 48182. 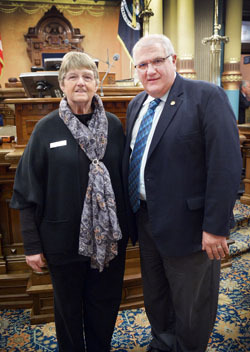 LANSING, Mich. — Sen. Dale Zorn, R-Ida, welcomed Connie Carroll, executive director of the United Way of Monroe/Lenawee Counties, to the Michigan Capitol on Tuesday. 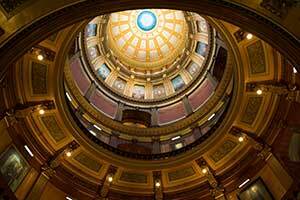 Carroll was visiting Lansing for the Michigan Association of United Ways and Michigan 2-1-1 Legislative Day. Editor’s note: The photograph of Zorn and Carroll is available by clicking on the image or by visiting the senator’s website at www.SenatorDaleZorn.com/Photowire. 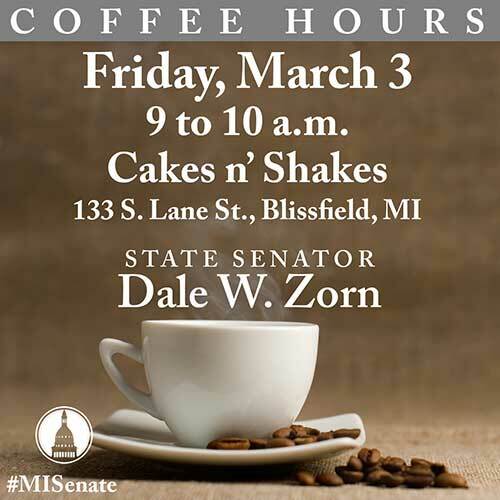 LANSING, Mich. — Sen. Dale Zorn has announced that he will conduct a district coffee hour in Tecumseh on Friday, Feb. 17. 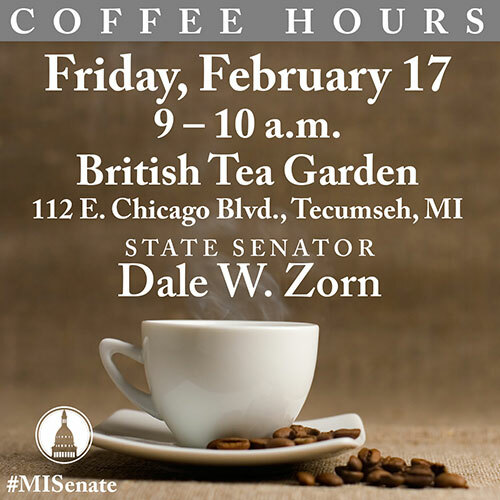 The coffee hour will be held from 9 to 10 a.m. at the British Tea Garden, 112 E. Chicago Blvd., Tecumseh. 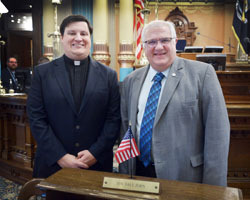 LANSING, Mich. — The Michigan Senate on Thursday approved bipartisan criminal justice reforms focused on protecting the public, reducing costs and lowering recidivism. 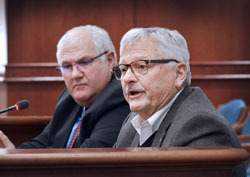 Included in the comprehensive package was Sen. Dale Zorn’s legislation to prevent the state from giving public assistance to parole and probation violators. Reforms in the 21-bill package include improving tracking of data on people who re-offend, allowing judges to shorten a probation term as a result of good behavior, speeding up hearings for prisoners with serious and life threatening medical conditions, encouraging partnerships with outside volunteers who offer services to prisoners, expanding housing reforms for juvenile offenders, and creating a tax credit for employing a probationer or parolee. Senate Bill 18 would require probation and parole supervisors to provide to the Department of Health and Human Services (DHHS) a list of people who have failed to report their whereabouts as required. Zorn’s bill, SB 19, would then prevent DHHS from granting public assistance to the listed parole and probation violators. “Taxpayer-funded welfare benefits should not be going to people who violate their parole or probation,” Zorn said. “Trust is an important part of the rehabilitation process. When prisoners are given a chance to rejoin society through parole or to avoid prison through probation, we expect them to meet some basic requirements — such as reporting to a supervisor. LANSING, Mich. — The Senate Economic Development and International Investment Committee has approved Sen. Dale Zorn’s legislation to help spur business investment in Michigan border communities. 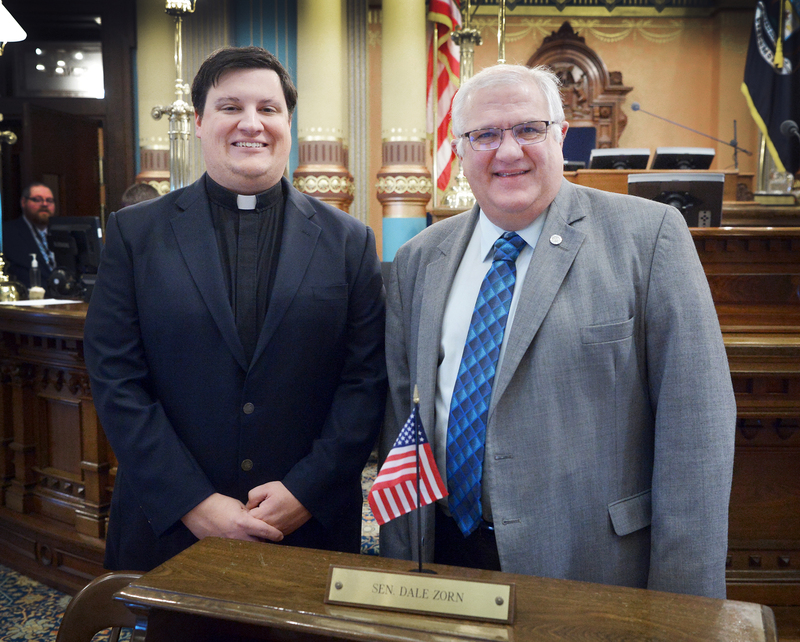 Senate Bill 40 would expand the “qualified new job” definition to include a job performed by a non-resident who is employed by a business located in a Michigan border county. 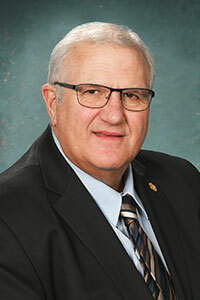 Lenawee Now Executive Director Jim Van Doren testified in support of the bill. SB 40 now heads to the full Senate for consideration.